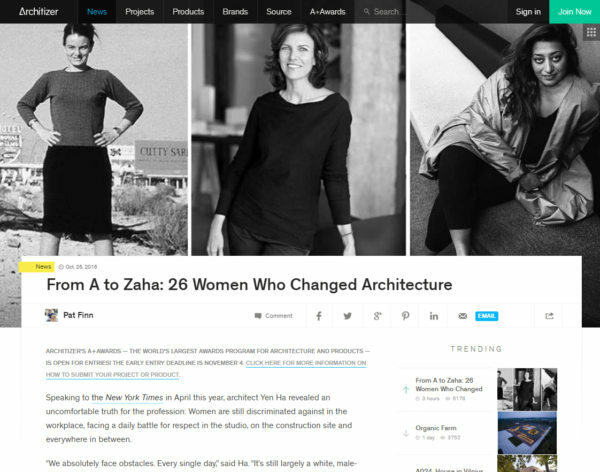 Alison Brooks was featured as one of the ’26 Women Who Changed Architecture’ in this Architizer article. Alison Brooks Architects has won the Best House Design category at the Sunday Times British Homes Awards. The award was given for ABA’s Bath Western Riverside scheme with developer Crest Nicholson. 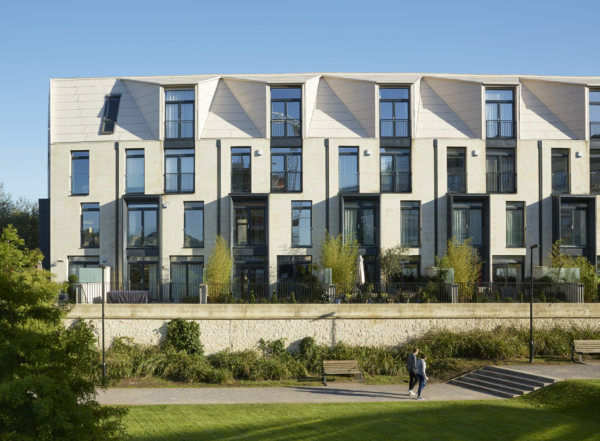 This mixed use scheme, located on the banks of the River Avon in Bath, is conceived as three ‘variations’ on the Bath Crescent housing typology, consisting of fourteen large family houses, six mews houses, six apartments, and a cafe. A Semi-detached villa crescent, a terraced crescent and a mews crescent are arranged as sculptural stone objects on an elevated riverside plinth. 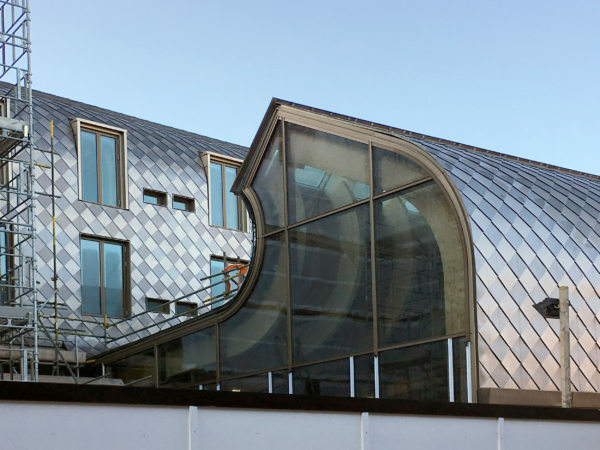 Scaffolding is being taken down, revealing the shimmering curved steel roof at ABA’s new 6000 m² Cohen Quad, which will expand Exeter College’s 700 year old campus in the heart of Oxford. The new quad will house undergraduate and graduate living accommodation for 100 students, a lecture hall, seminar rooms, social learning spaces, archive, café, roof terraces, offices and fellows’ accommodation. Student rooms and fellows studies are enclosed by patterned stainless steel that folds across wall and roof surfaces, sitting on a stone clad ‘base’ that houses the quads’ public spaces. 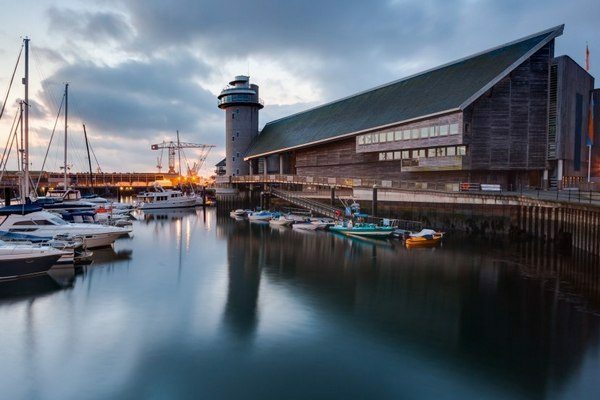 Alison Brooks delivered the 2016 RIBA and Cornwall Architectural Trust Lecture on 11th November at Falmouth Maritime Museum.